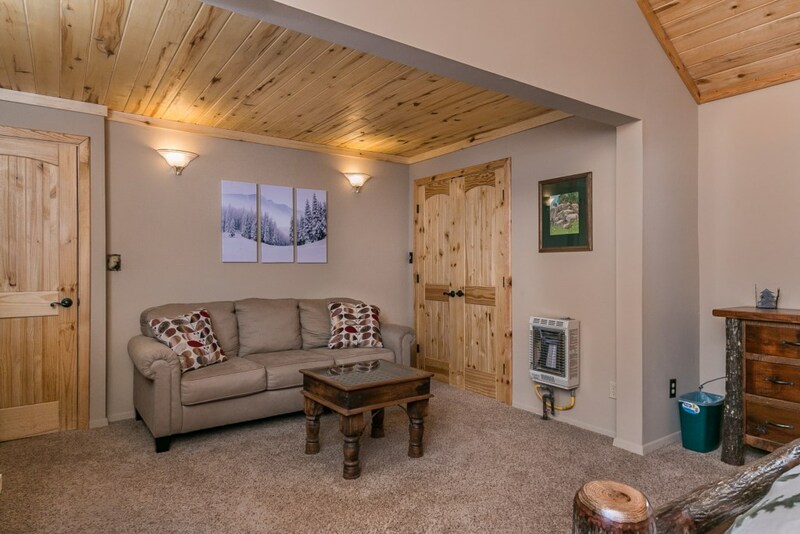 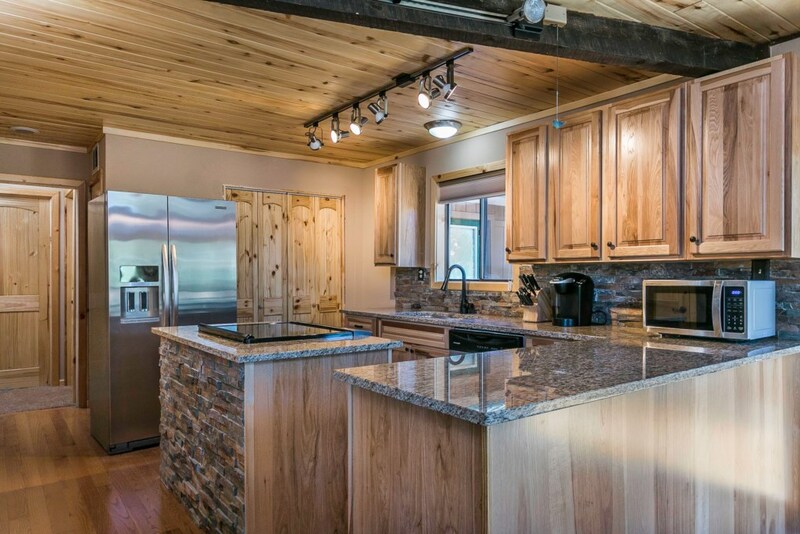 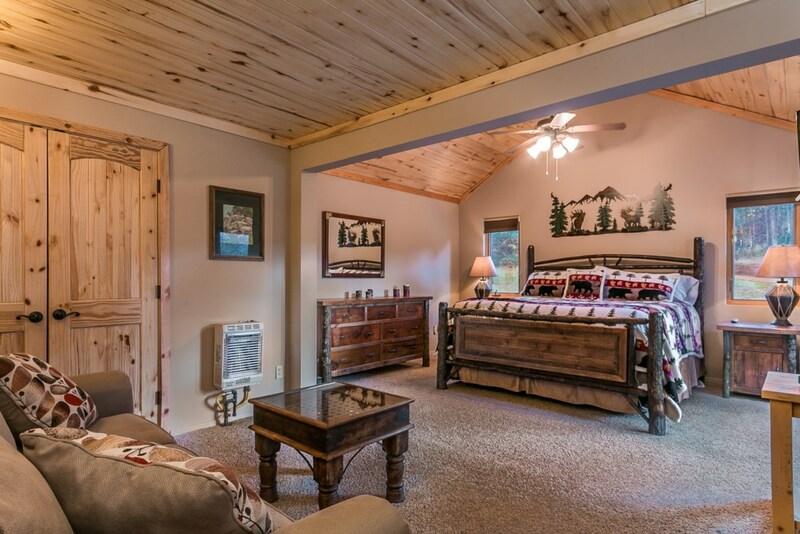 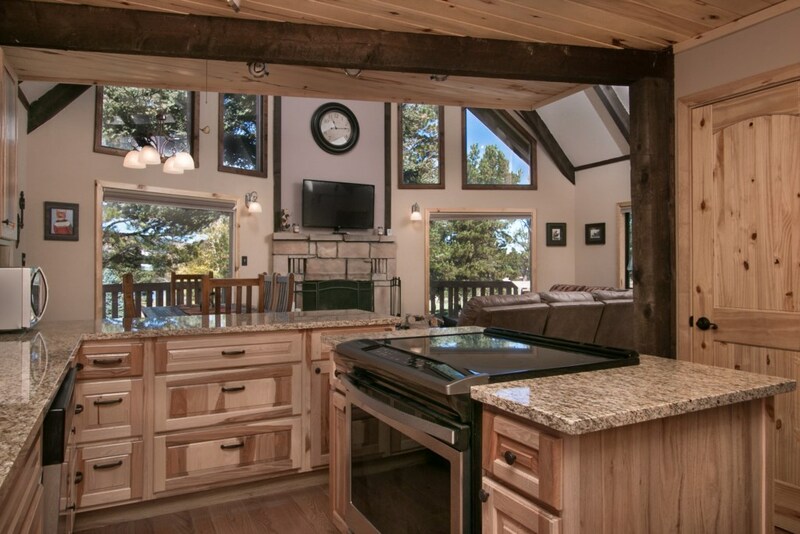 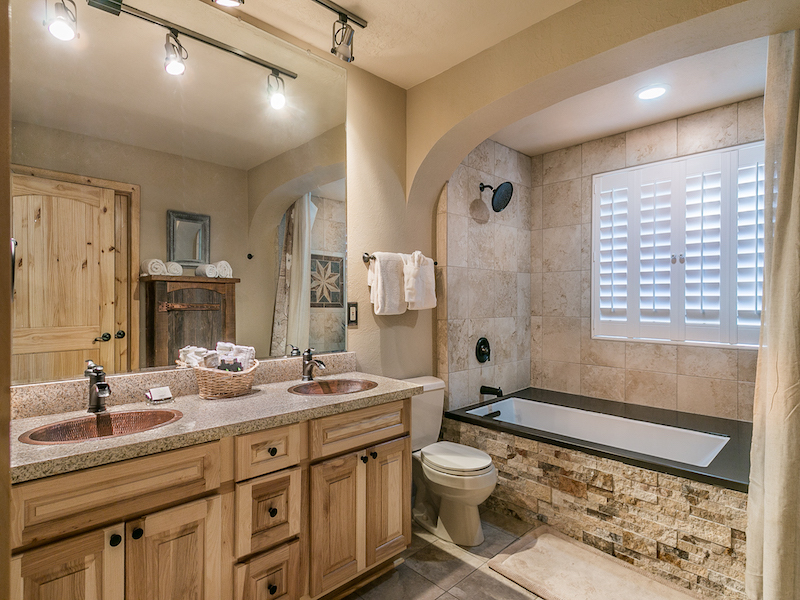 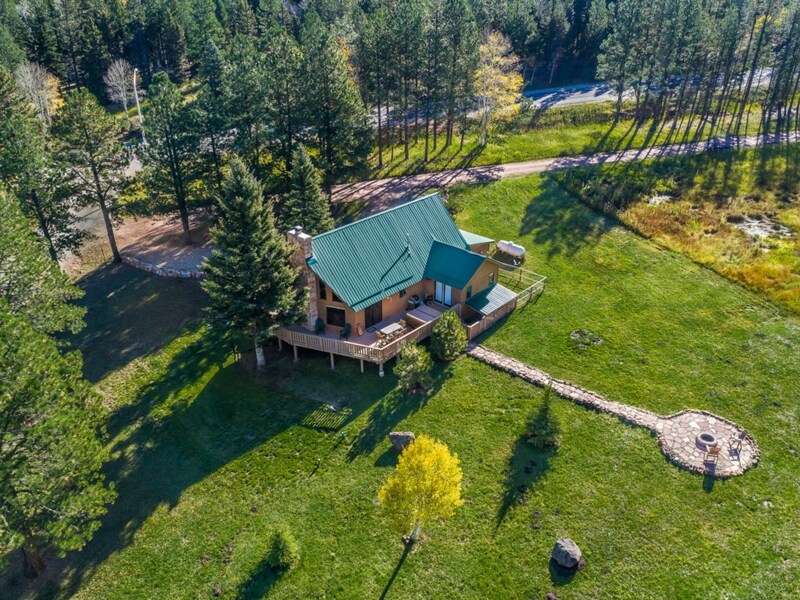 The Deer Run Cabin is a 3 bedroom 2 bath cabin with all the amenities you would expect in a mountain cabin. 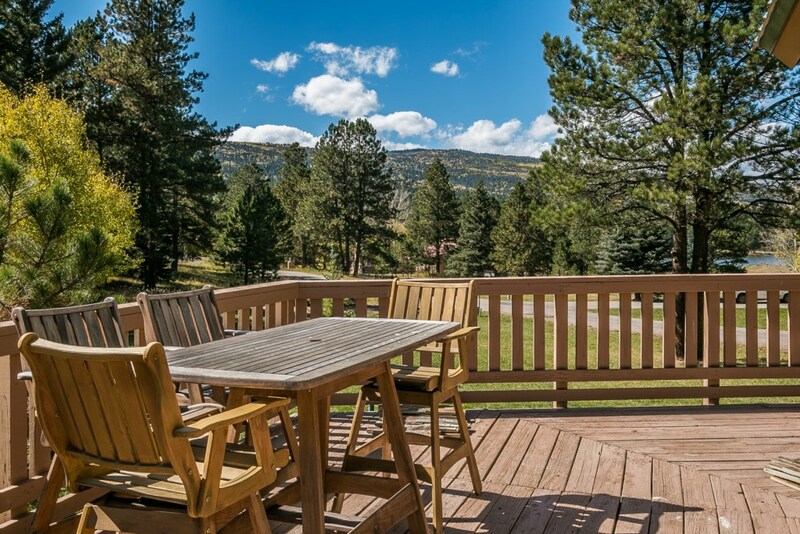 Outdoors is a hot tub, fire pit, and wrap around deck with perfectly situated trees. 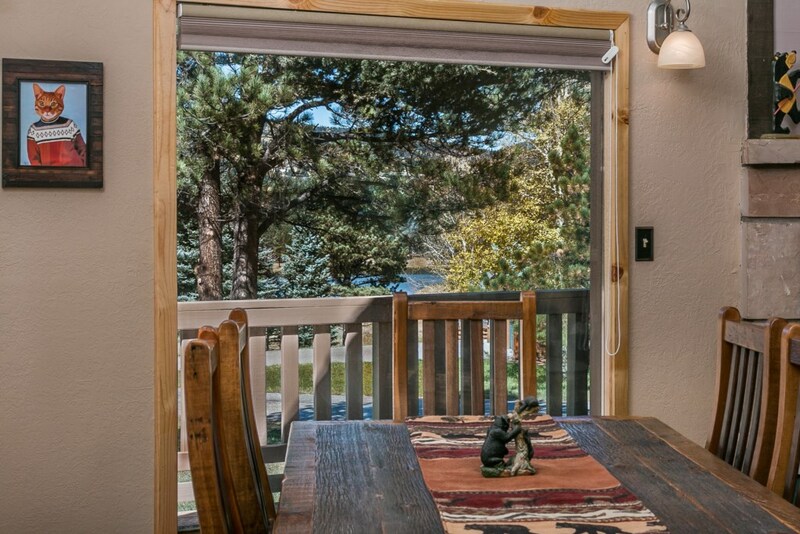 The cabin is in the middle of a large green belt that provides great views and a parade of wildlife. 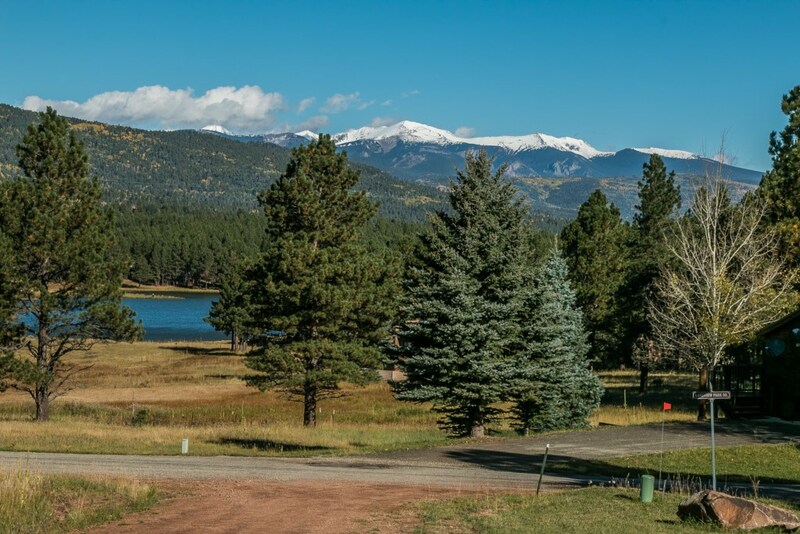 Monte Verde Lake is right across the street and makes for beautiful walks and rides. 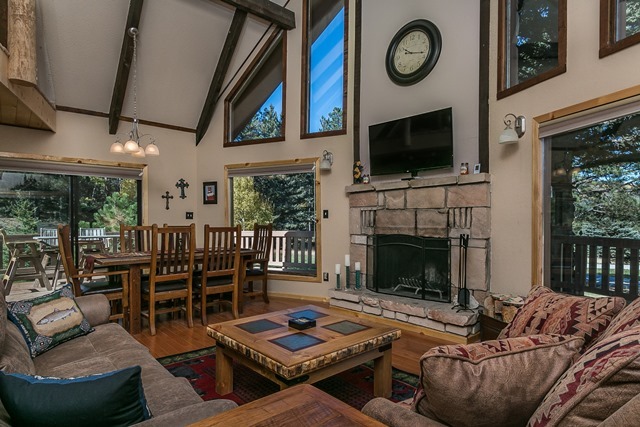 Indoors there is a large wood burning fireplace, new hickory cabinets, knotty pine doors, and log railing that exude the mountain cabin feel. 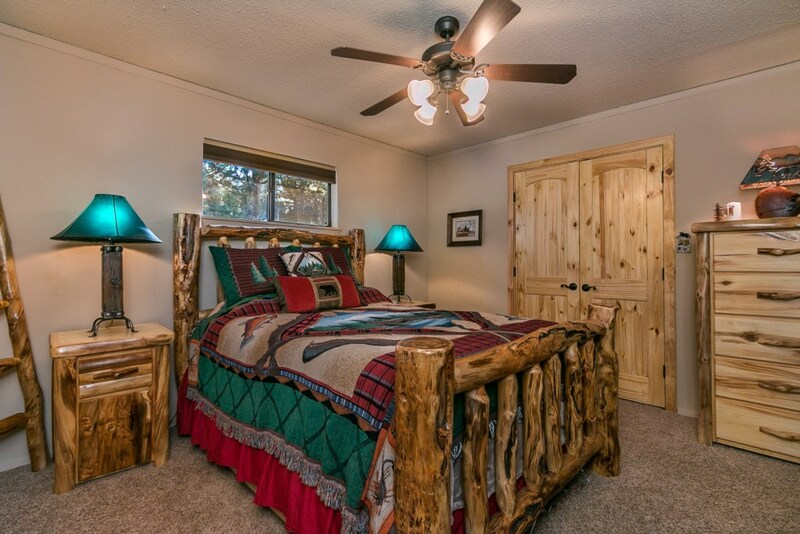 The huge master bedroom (king), 2nd bedroom (queen), kitchen, laundry and living area are all on one level. 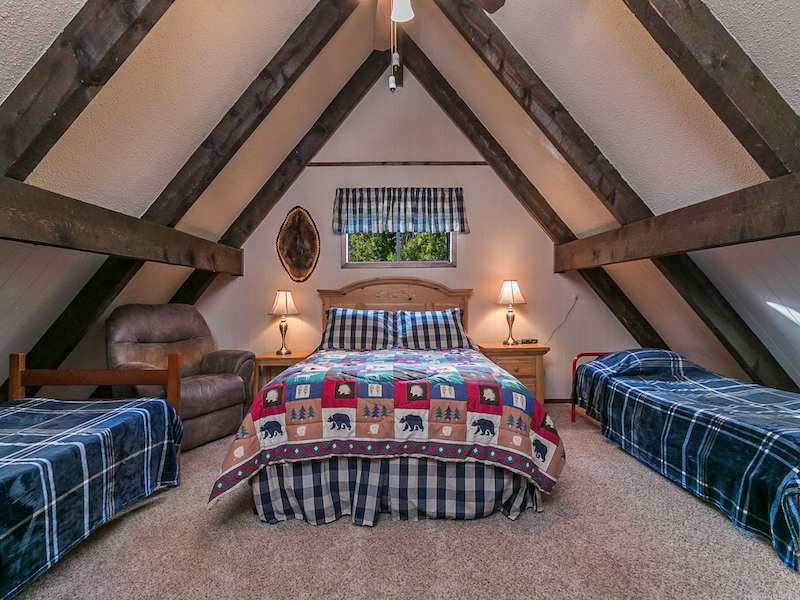 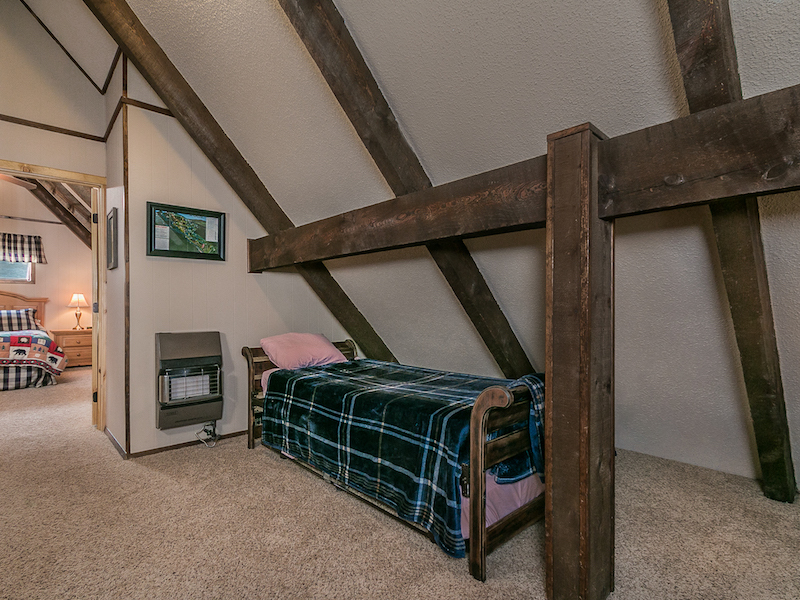 The loft and 3rd bedroom (queen and 4 twins) are just right for all the kids. 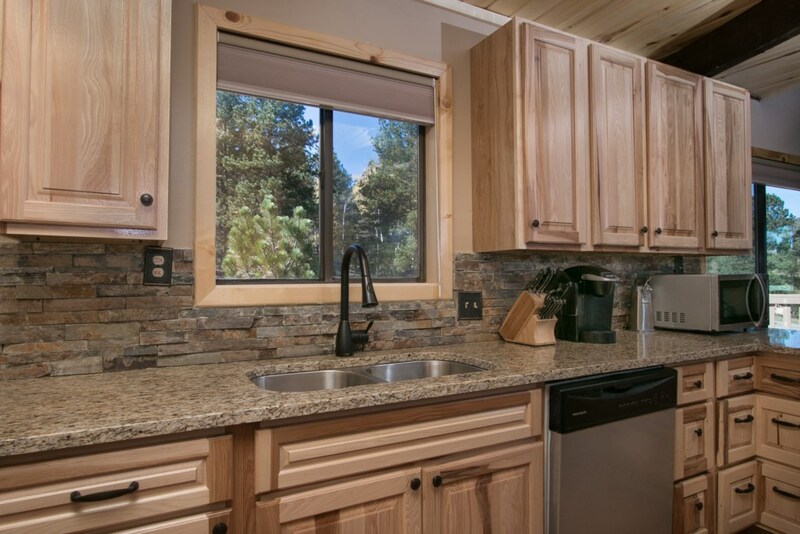 The kitchen and first level has just been remodeled with new cabinets, doors, trim, bed spreads, rugs, appliances and art work. 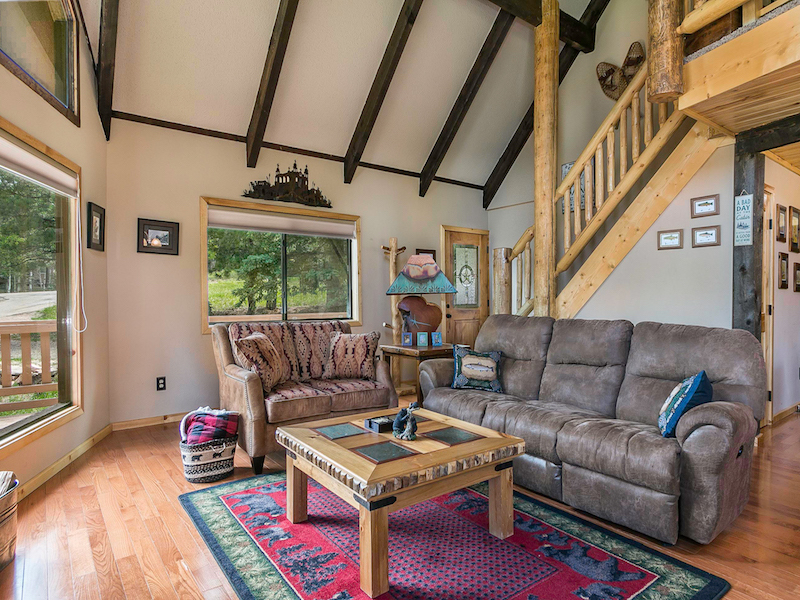 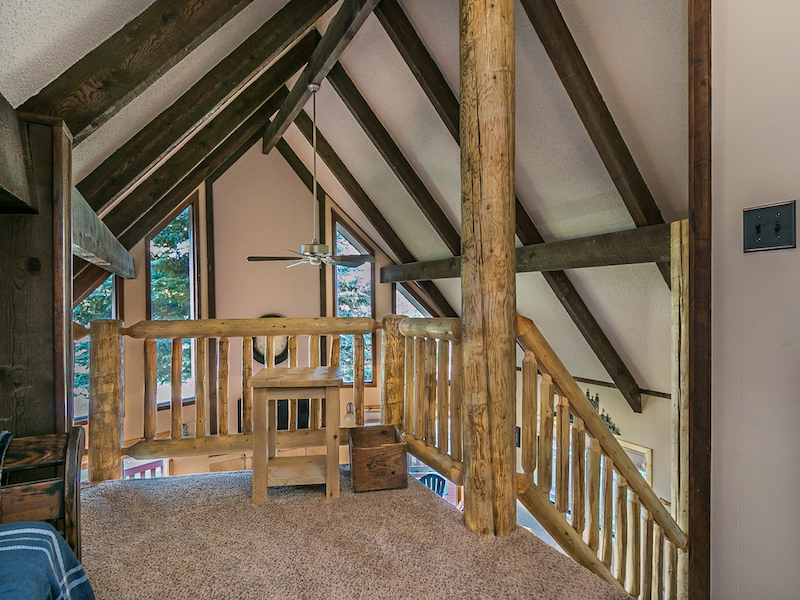 The furniture on the first level is top of the line with a great cabin accent. 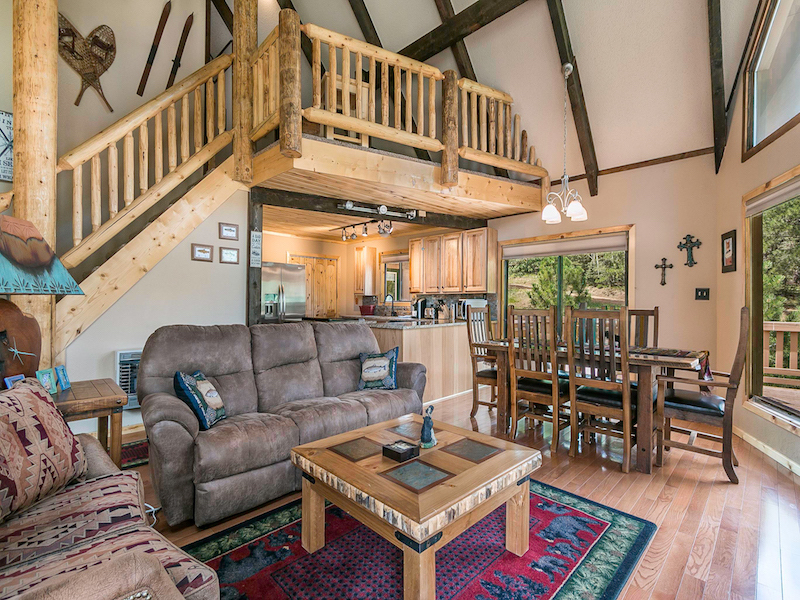 Cozy cabin living at the highest level. 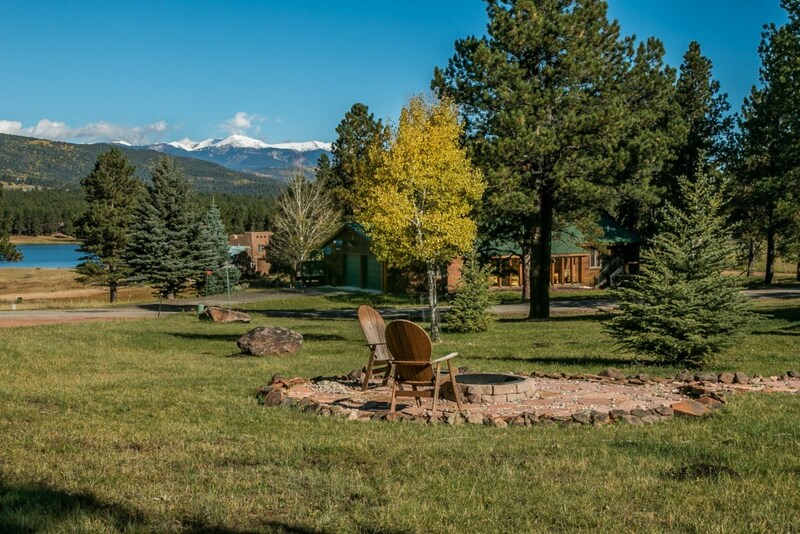 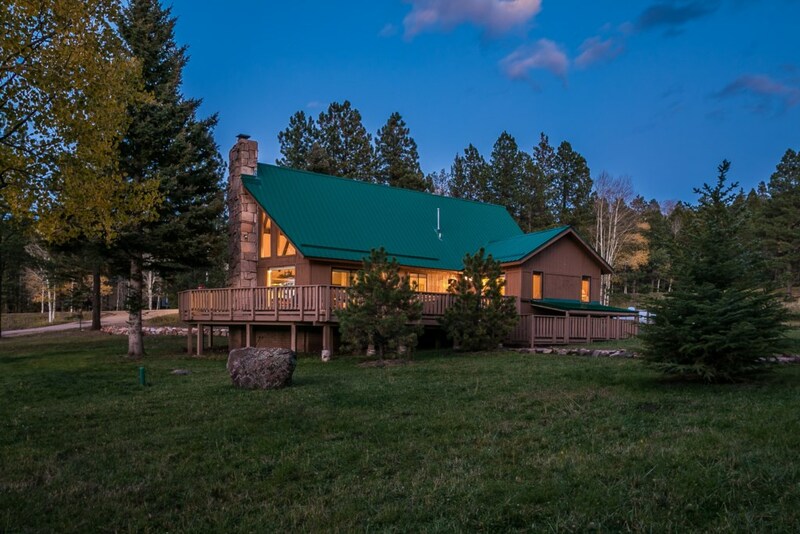 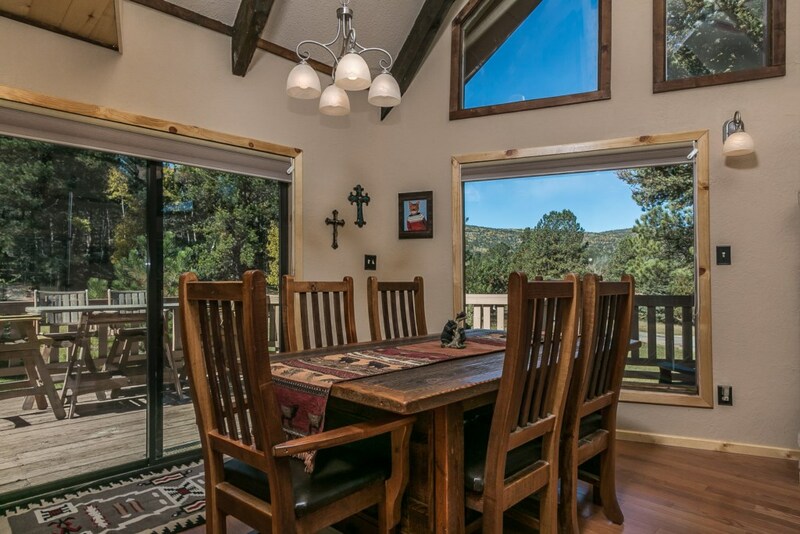 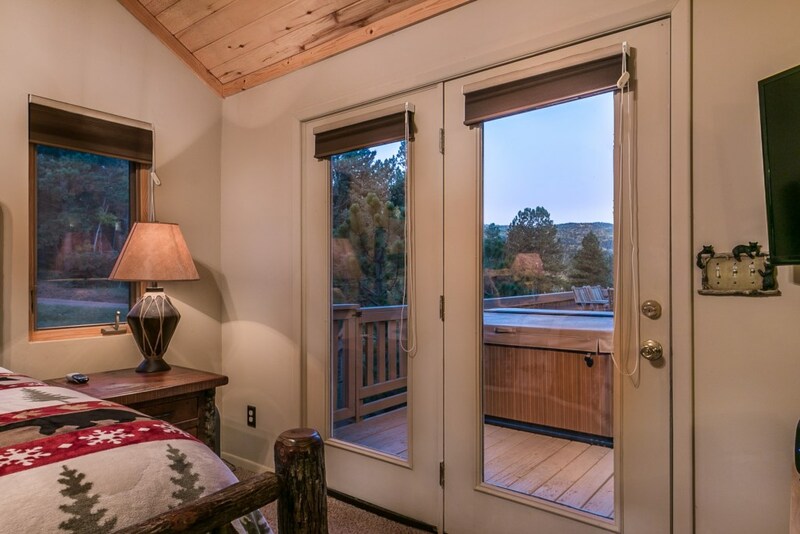 A big plus of Deer Run Cabin is access - a relatively flat circle driveway, it is one of the easiest cabins in Angel Fire to access. 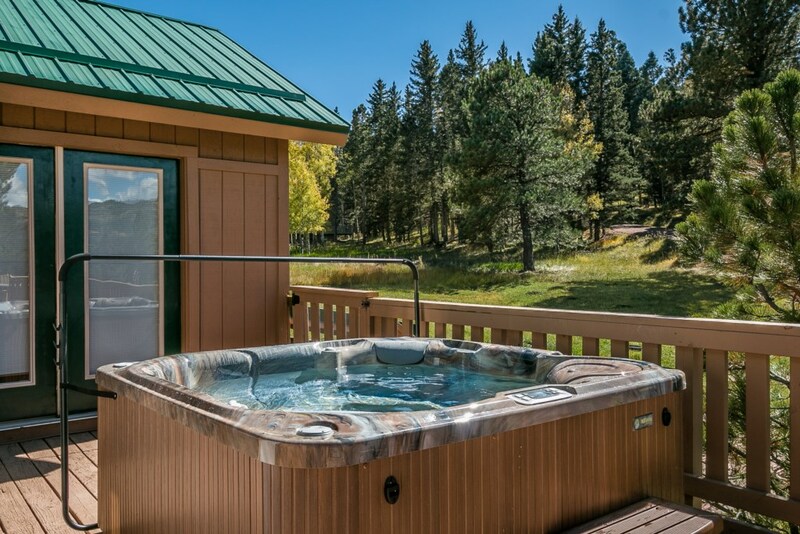 The hot tub is an additional $350 + tax. 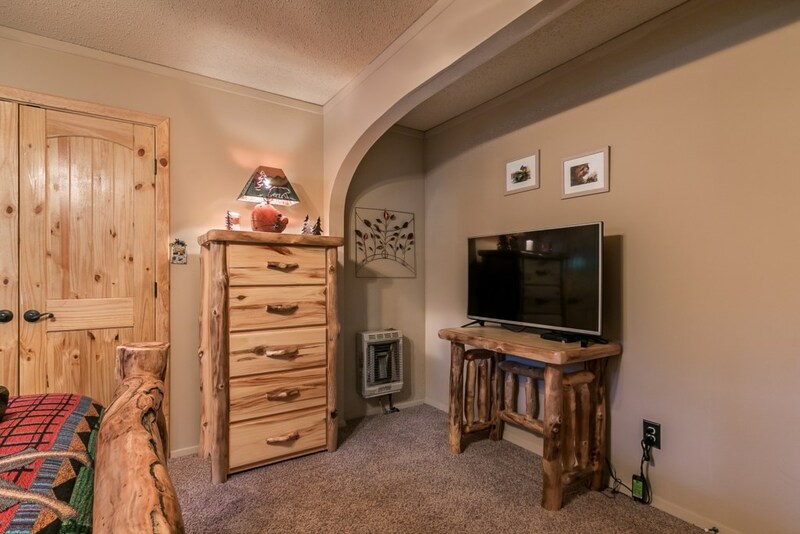 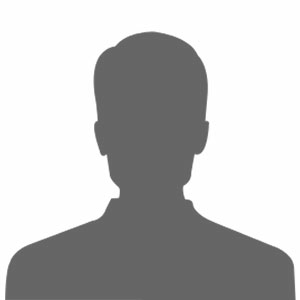 This unit is Pet Friendly ($200 flat fee 2 animal maximum). 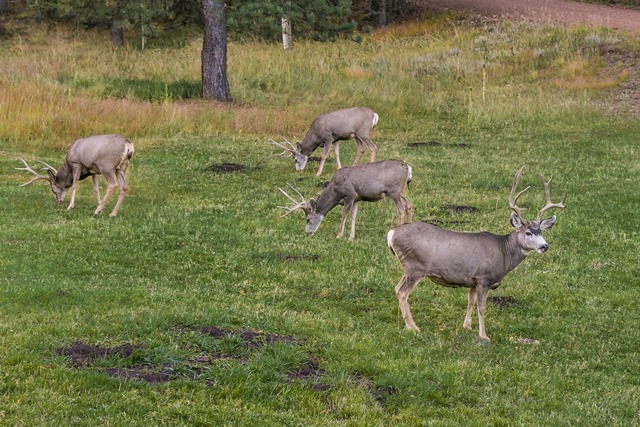 *4x4 or AWD is required during winter season/ winter months.